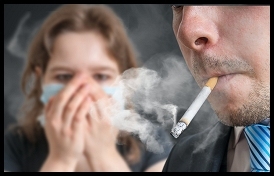 Tobacco has been one of the most prevalent, long-standing addictions in America. Fortunately, tobacco use has declined over the past 30 years with many public buildings, retail stores, and restaurants having banned smoking as a service to their patrons. Smoking cigarettes was once a rite of passage as teens aspired to look older and act like the grown-ups. However, education in schools and via public service messaging led to a reduction in cigarette use as more people came to clearly understand the health risks associated with smoking. As a 6th grader, our school participated in a campaign against smoking. Students were allowed to examine actual cow lungs, inflate them with a bicycle pump, as well as compare and contrast healthy lung tissues vs. those of a lifelong smoker. The campaign was successful in that it provided us a working knowledge of the function of the lungs, and a visual representation of what happens to lung tissue as a result of inhaling smoke. Some 15 years later, I anonymously sent my mother a quit smoking kit. I had pressured her for years to give up cigarettes, and I knew that stopping was in the back of her mind for quite some time. To my surprise, she went cold turkey and plowed through a 2 week period of daily craving and nicotine withdrawal (there was no medication-assistance back then like there is today). She emerged from the other side of her 2 week abstinence period saying “I didn’t think it was possible, but I believe I can really do this”. I was so proud of her. That was nearly 28 years ago. There is no question in my mind that she added years to her life as a result of giving up tobacco. Readiness and preparation are very important ingredients in taking on any challenge. Difficult obstacles are not overcome by accident. Overcoming an addiction requires acknowledgement of a problem, motivation to change, a realistic plan, and the drive to stay on course through the ups and downs. Support is, of course, also very helpful in weathering this process of change. The vast majority of people who successfully quit smoking have a deep appreciation for having achieved this goal. And they live with a healthy respect for the power of addiction. If you have been thinking about giving up tobacco, you might be interested in reading a bit more about how others have done it, and what resources are available to help you. Here is a SAMHSA post with some useful links and a graphic that shows the stages of the human body returning to a healthy state after giving up tobacco.